Emily Perbellini is a board-certified, Family Nurse Practitioner and works out of our Las Vegas office. She specializes in aesthetic dermatology education and oversees LaserAway’s continued education program, Aesthetic Pro Workshop. With over ten years in the field of dermatology, Emily thrives on learning and teaching others the most up-to-date, evidence based practices. As a native to Texas, she completed her undergraduate studies at the University of Texas Medical Branch on Galveston Island. 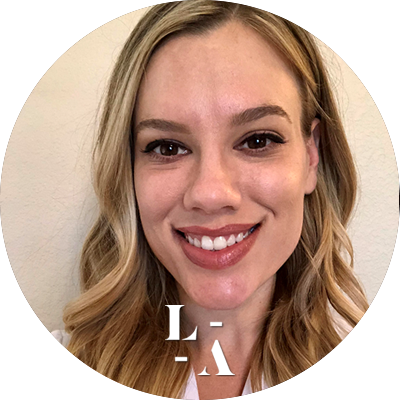 Emily then continued her studies at Azusa Pacific University, California where she earned her Master’s of Science in Nursing, becoming a Family Nurse Practitioner.